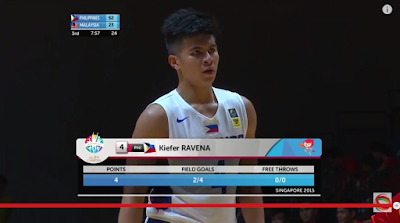 Today at the SEA Games 2015: Gilas Cadets won vs Malaysia in their preliminary game at the 28th SEA Games 2015 Men's Basketball, while the Philippines' men's volleyball team sadly lost against Myanmar. Tomorrow, the Gilas Cadets will face off Timor-Leste, its 3rd and final match in the preliminary stage before advancing to the semi-finals. 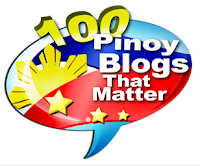 With 9 seconds left in the 4th Quarter, Almond Vosotros scores a 3 to lift the final score of the Philippines to 100. GILAS CADETS SCORERS: Almond Vosotros - 21 pts, Troy Rosario - 18 pts, Marcus Douthit - 12 pts, Kiefer Ravena - 8 pts, Norberto Torres - 8 pts, Rey Mark Belo - 7 pts, Earl Scottie Thompson - 6 pts, Baser Amer - 6 pts, Rashleigh-Paolo Rivero - 5 pts and Kevin Ferrer - 2 pts. It's the 2nd game of the Philippine Men's Basketball team in SEA Games 2015, where they belong to Group A along with the teams from Indonesia, Malaysia and Timor-Leste. In Group B meanwhile are the teams of Cambodia, Thailand, Singapore, Myanmar and Vietnam. 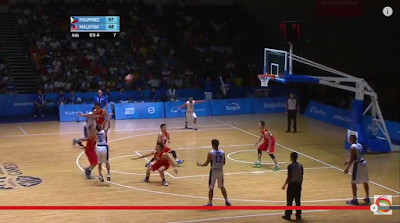 Yesterday, they won against Indonesia by huge 29 points: 52-81. Kiefer Ravena, Troy Rosario, Almond Vosotros led the team in the scoring, with combined points of 25. Also playing for the Philippines' Gilas Cadets are Marcus Douthit, Prince Rivero, Kevin Ferrer, Glenn Khobuntin, Norbert Torres, Mac Belo, Jiovani Jalalon, Baser Amer and Scottie Thompson. Tomorrow, June 12, it's gonna be Philippines vs Timor-Leste, another easy opponent who already lost big-time (by over 100 points) during its opening game against Indonesia last Tuesday (135-21). The Philippines vs Myanmar game in Volleyball Men event has just wrapped. Yesterday, the PH team won their 1st game, vs Malaysia, but sadly lost their 2nd game today. As for other events, the Philippine women's basketball team and women's volleyball team both won their respective games today. Perlas Pilipinas now 2-1 in the standings after defeating Malaysia (74-63) while the Ladies Volleyball bounced back from their loss to Indonesia yesterday when they won in 3 sets against Malaysia this morning.